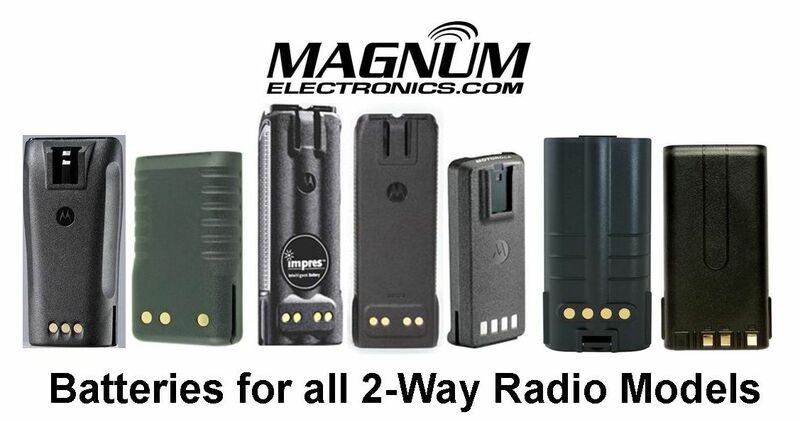 DMR | Magnum Electronics, Inc.
All Unication G-Series Voice Pagers ordered now through 6/28/19 will automatically include the three year extended warranty option. Any lowband, VHF, or UHF G1 will include the EXTWARRANTY-G1 option. The G1 signalling capabilities include 2 tone, 5/6 tone, and CTCSS (PL), CDCSS (DPL) for monitoring radio channels. Up to 64 programmable channels, UL intrinsically-safe, IP67 submersible, and 16 minutes of voice storage are standard with all G1 models. 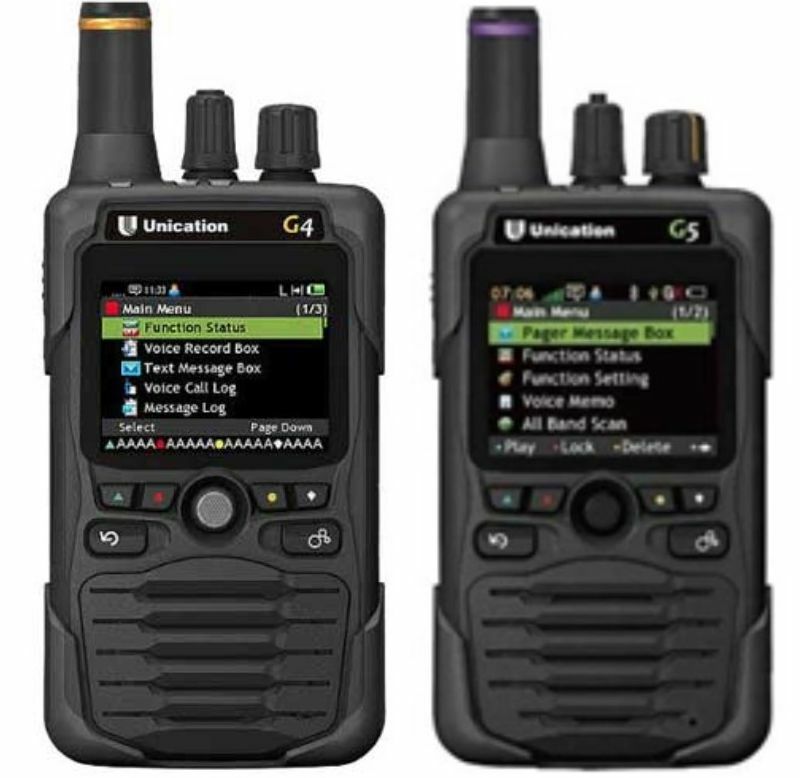 The P25 700/800 MHz G4 and dual band VHF or UHF/700/800 MHz G5 include the EXTWARRANTY-G4 option valued at $130. The G4 and G5 can be programmed with P25 Phase I or Phase II protocol with Priority TGID Scan. It supports 2-Tone over P25, P25 Trunking, P25 Conventional, DMR Tier 1 & Tier 2, and Analog Conventional. There are no minimum purchase quantities for this promo. This protects your investment for 5 years and provides parts and labor depot repairs at Unication’s Kentucky service facility. Contact us for a quote at our Dover, Delaware facility at 302-734-9250 M-F 8-5pm EST. 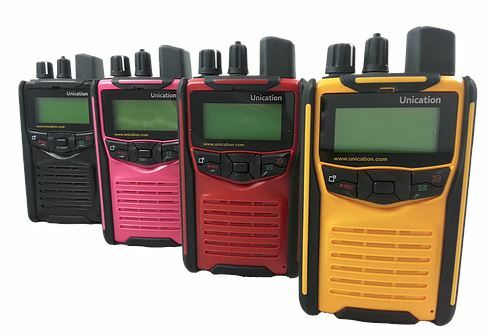 Motorola Solutions continues their trade-in discounts until the end of June on MOTOTRBO XPR 7000e, SL 7000e, CP200d, and EVX-261 DMR digital radios. There are also special financing offers of 0% (12 months) and 6.67% (60 months) for projects of $25,000 or more. End users receive a $1300 discount off an order of 10 handheld XPR 7000e or SL 7000e series DMR radios with a qualifying trade-in of 10 business radios or cellular PTT phones. The XPR/SL 7000e series models include the latest features and accessories that future proof your investment. Intrinsically-safe UL HAZLOC models for hazardous environments are also eligible. End users receive a $350 discount off an order of 10 CP200d DMR portable radios with a qualifying trade-in of 10 business radios or cellular PTT phones. The CP200d is Motorola’s most popular radio for commercial businesses including the construction market. End users receive a $200 discount off an order of 10 EVX-261 DMR portable radios with a qualifying trade-in of 10 eligible devices. The low cost EVX-261 operates in both analog and digital modes making them ideal for mixed fleets. Promotions cannot be mixed and discounts are calculated in multiples of 10 depending on the radio model. For more information about the second quarter 2019 MOTOTRBO trade-in promo and a formal quote contact our Dover, Delaware office at 302-734-9250 M-F 8-5pm EST or use the form below. Motorola Solutions announced trade-in discounts this week on MOTOTRBO XPR 7000e, SL 7000e, CP200d, and EVX-261 DMR digital radios. There are also special financing offers of 0% (12 months) and 6.67% (60 months) for projects of $25,000 or more. End users receive a $2500 discount off an order of 20 handheld XPR 7000e or SL 7000e series DMR radios with a qualifying trade-in of 10 business radios or cellular PTT phones. The XPR/SL 7000e series models include the latest features and accessories that future proof your investment. Intrinsically-safe UL HAZLOC models for hazardous environments are also eligible. End users receive a $525 discount off an order of 15 CP200d DMR portable radios with a qualifying trade-in of 15 business radios or cellular PTT phones. End users receive a $100 discount off an order of 10 EVX-261 DMR portable radios with a qualifying trade-in of 10 eligible devices. Promotions cannot be mix and discounts are calculated in multiples of 20,15, or 10 depending on the radio model. For more information about the first quarter 2019 MOTOTRBO trade-in promo and a formal quote contact our Dover, Delaware office at 302-734-9250 M-F 8-5pm EST or use the form below. Motorola Solutions extended their trade-in discounts this week on next-generation MOTOTRBO XPR 7000e, SL 7000e, and XPR 5000e series DMR digital radios. Also, special financing offers continue until the end of the year. End users receive a $1200 discount off an order of 10 handheld XPR 7000e or SL 7000e series DMR radios with a qualifying trade-in of 10 business radios or cellular PTT phones. The XPR/SL 7000e series models include the latest features and accessories that future proof your investment. Intrinsically-safe UL HAZLOC models for hazardous environments are also eligible. End users receive a $300 discount off an order of 10 XPR 5000e DMR mobile radios with a qualifying trade-in of 10 business radios or cellular PTT phones. The XPR 5000 delivers clear audio, optional color display, Bluetooth for audio and data, enhanced GPS, text messaging, and custom applications customized for your business. For MOTOTRBO system upgrades of at least $25,000, Motorola will offer incentives through their authorized finance partner, Lease Corporation of America. Upgrade your system using 12 month interest-free financing or lower your payments with 3.1% financing for 36 months. For more information about the fourth quarter 2018 MOTOTRBO trade-in promo and a formal quote contact our Dover, Delaware office at 302-734-9250 M-F 8-5pm EST or use the form below. Motorola announced an exclusive communications promotion to improve K-12 school safety in the US and Canada. From July 1st through September 30, 2018 K-12 education facilities can earn a rebate for each digital radios purchased. It also can be combined with the Q3 MOTOTRBO Trade-in Promo so it is a good opportunity to upgrade to SL 7000 or XPR 7000 series radios. 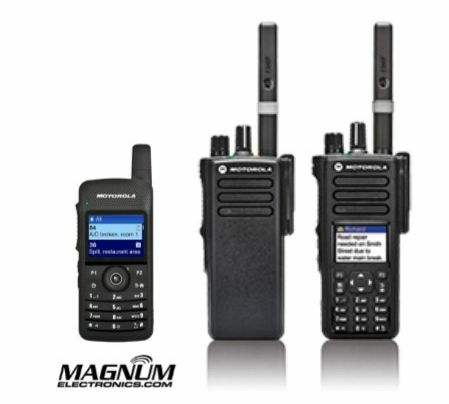 The UHF SL 7550e, 800 MHz SL 7580e, and 900 MHz SL 7590e are the most advanced pocket-sized MOTOTRBO radio available. The 5-line color display, full keypad, and built-in vibrate function provide discreet messaging when needed. A $30 rebate for each radio and if you purchase ten on one invoice another $1,350 will be deducted from the total. This offer applies to the XPR 7350e, XPR 7550e, and XPR 7580e as well. You can also earn a $25 mail-in rebate for each XPR 3300e, XPR 3500e, and SL3500e. SL/XPR 3000e series models have the capability of integrated Bluetooth, Wi-Fi, and Capacity Plus trunking. The popular CP200d voice radio has a $15 rebate for each radio purchased. 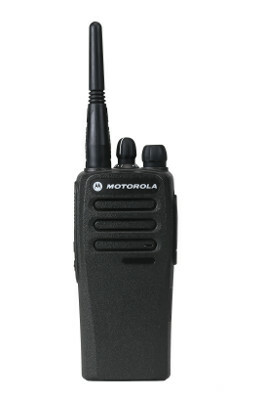 Motorola has a $12 rebate offer for the thin VHF/UHF SL300 that is popular in schools. It’s only 6 oz and the battery lasts all day. K-12 schools can also receive a $10 rebate for the Vertex EVX-261. Motorola Solutions announced their trade-in discounts this week on next-generation MOTOTRBO XPR 7000e, SL 7000e, and XPR 5000e series DMR digital radios. Also, special financing offers include 0% interest for 12 months and 3.1% for 36 months. The current promotion period ends on September 30th. End users receive a $1350 discount off an order of 10 handheld XPR 7000e or SL 7000e series DMR radios with a qualifying trade-in of 10 business radios or cellular PTT phones. 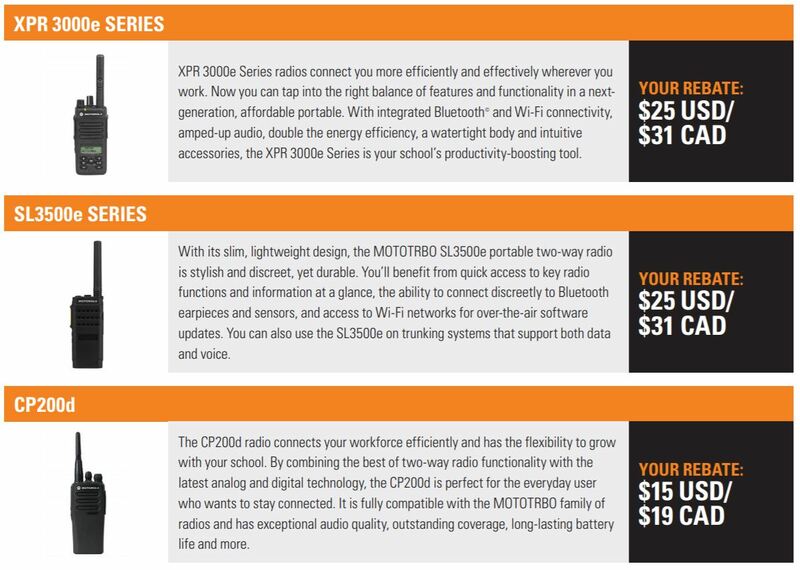 MOTOTRBO XPR/SL 7000e Series future proof your investment by offering the latest accessories and radio options including internal Bluetooth and WiFi for remote programming. Products must be purchased in increments of 10 and must be purchased on a single invoice. End users receive a $650 discount off an order of 10 XPR 7000e DMR mobile radios with a qualifying trade-in of 10 business radios or cellular PTT phones. 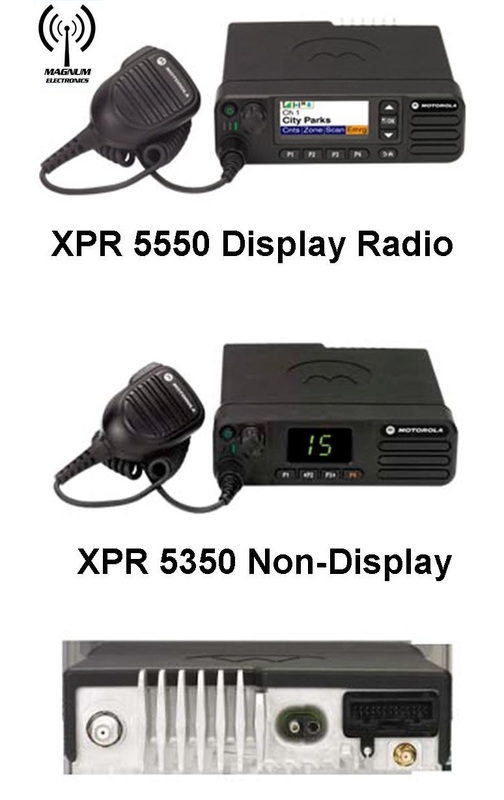 XPR 5000 series mobiles have built-in Bluetooth and supports the RLN6551 long range wireless speaker-microphone allowing the driver to use the mobile radio from up to 300 feet away from the vehicle. For more information about the third quarter 2018 MOTOTRBO trade-in promo and a formal quote contact our Dover, Delaware office at 302-734-9250 M-F 8-5pm EST or use the form below. 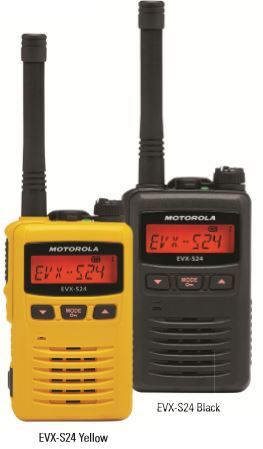 Motorola rebranded the Vertex EVX-S24 earlier this year and added it to their commercial DMR digital portfolio. Available in yellow or black, it has been a popular choice by schools, construction, and hospitality customers. The EVX-S24 can be programmed with both digital and analog channels for easier migration to digital communications. At only 7.6 ounces it packs all the features you need for the safety and coordination of workers inside or outside buildings. The EVX-S24 has an 8 character display, 256 channels, emergency button, and convenient Micro-USB charging port. The rugged IP67 submersibility rating and 3 year warranty make this a good investment for any business needing reliable voice communications. Depending on your coverage requirements, you may like the ATU-21FS super stubby antenna. It is only 2 inches tall and lets you carry the radio in your pocket. It may reduce your coverage depending on the number of walls you need to communicate through. The EVX-S24 standard package includes the CD-65 single unit charging cradle. There is an optional CD-66 enhanced cradle that can charge a PMNN4468 spare battery. The VAC-6066 six pocket charger saves your AC wall outlets and helps keep track of your radio inventory. The Motorola MH-90A4B remote speaker-mic and the MH-89A4B earpiece microphone are the most popular audio accessories. 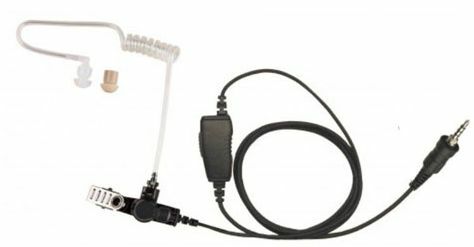 We also offer a 1-wire surveillance kit with acoustic tube. There are custom leather carrying cases available and our neck strap is an option to consider. It has a rubber o-ring that slips under the belt clip and is a favorite with teachers, retail, and hospitality workers. 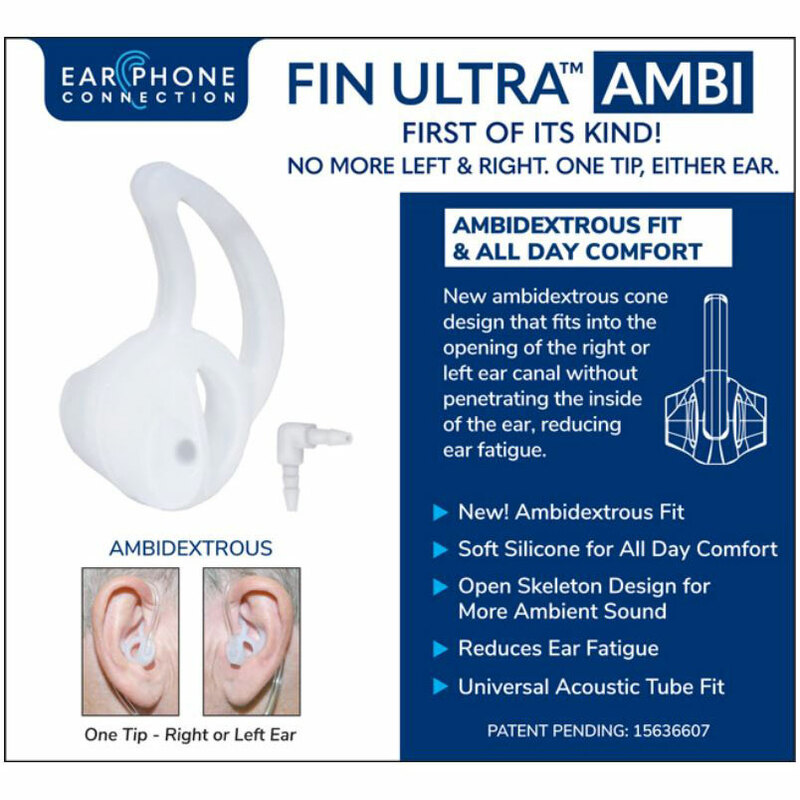 A new wireless speaker-microphone from Earphone Connection can pair with two different compatible Bluetooth radios at the same time. 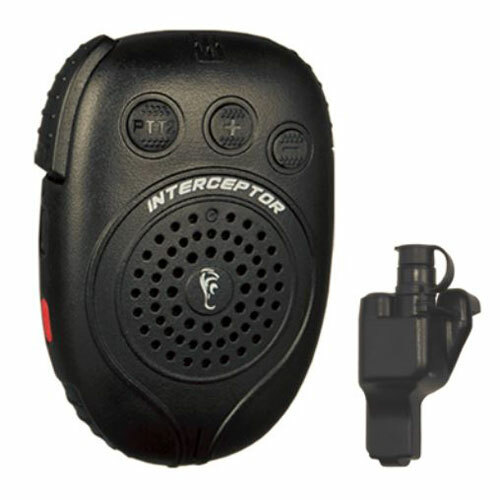 The INTERCEPTOR speaker can receive audio from both radios and the unique dual push-to-talk buttons allow you to respond to either radio’s talkgroup. There is also a 3.5mm earphone jack that supports a headset with boom microphone. 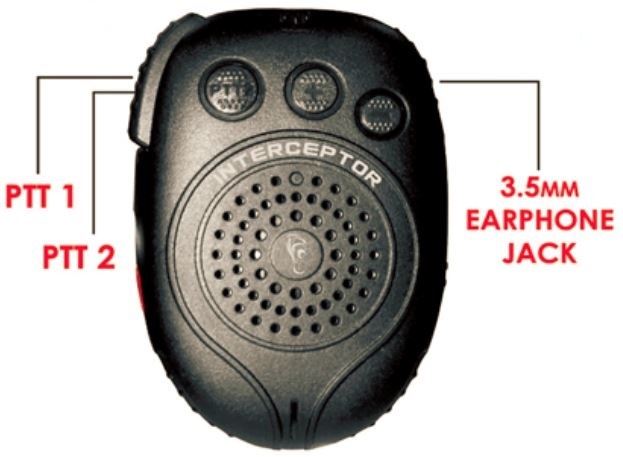 The INTERCEPTOR-00 has built-in firmware that supports many radios with internal Bluetooth enabled. Currently, the following radios are supported – Harris: XG-75, XG-100 & XL-200P; Kenwood: NX-5000 series; Relm: KNG2; Hytera: X1P; Icom: F3400 & F4400, F5400 & F6400; Sepura: STP & SC20. Motorola radios with internal wireless Bluetooth are not compatible. You will still need the Motorola RLN6554 wireless microphone for APX and RLN6562 for MOTOTRBO SL/XPR 7000 series. EPC bundles wireless adapters for the INTERCEPTOR for radios without internal Bluetooth. The Motorola XTS 5000 and XTS 2500 (and others with Jedi connector) will work with the INTERCEPTOR-23 bundle. Motorola APX and XPR 6000/7000 users can use the INTERCEPTOR-34. The INTERCEPTOR-28 bundle supports the Harris M/A-COM Jaguar P5300, P5400, P5500, P7300, XG-15, XG-25, and XG-75 models. Also, the Kenwood NEXEDGE NX200, NX300, NX210, NX410; TK190, 200, 280, 290, 380, 390, 480, 481, 2140, 2180, 3140, 3180, 5210, 5220, 5310, 5320, 5400 are compatible with the INTERCEPTOR-11.